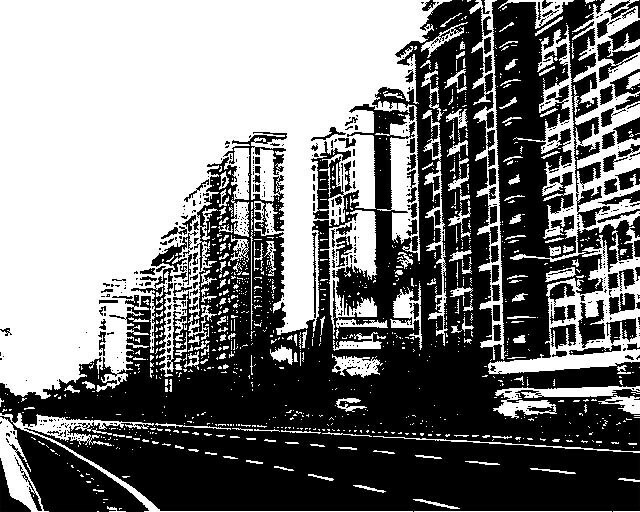 Navi Mumbai, the twin planned counterpart of an expanding Mumbai has had stories since 1972 which are now being replicated at its peripheries. The exploration of these tales as they were before, as they are now and as they seem like they will become soon speak volumes about the patterns in which our cities are growing. My family moved from the Middle East (Oman) to Mumbai in 2000 – Navi Mumbai, to be particular. In this post, i narrate instances from my growing years, with the city growing up alongside me as a playmate first, and then a mere acquaintance. But that was before our disagreements finally lead to estrangement. Navi Mumbai is a Planned Satellite City on the west coast of the Indian state of Maharashtra (Presently, the world’s largest). It was developed in 1972 as a twin city of Mumbai. It was initially planned with a specific purpose: to decongest Mumbai and become an alternative haven for the multitudes that throng to Mumbai from all over India. The City and Industrial Development Corporation (CIDCO) was formed on 17 March 1971. It was given the mandate of converting about 344 square kilometres (133 sq mi) of marshy land lying between the village of Dighe in Thane district and the village of Kalundre of Raigad district into a new city. The area covered 150 kilometres (93 mi) of the total 720 kilometres (450 mi) of the Konkan coast. The villagers of the area lived a calm life much different from the life in the neighbouring city of Mumbai. Privately owned land consisting of 86 villages covering 15,954 hectares (39,420 acres) within the present limits of Navi Mumbai and further villages measuring an additional 2,870 hectares (7,100 acres) were acquired by the government of Maharashtra. 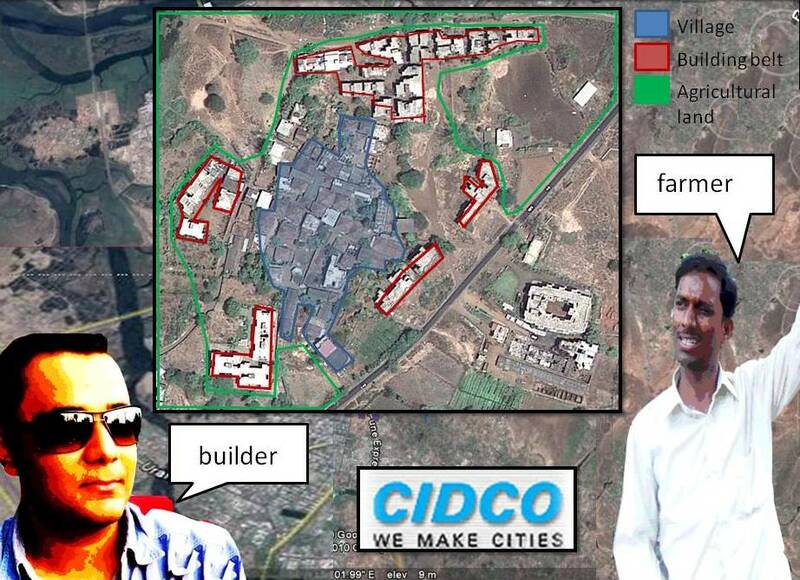 By 2000 CIDCO had developed about 117.60 square kilometres (45.41 sq mi) of land. CIDCO carved out 14 nodes – small townships – of the land with a view to facilitating comprehensive development and to give it an identity of a new city. These nodes are named Airoli, Ghansoli, Kopar Khairane, Vashi, Sanpada, Nerul, CBD Belapur, Kharghar, Kalamboli, Jui Kamothe, New Panvel,Ulwe, Pushpak and Dronagiri. 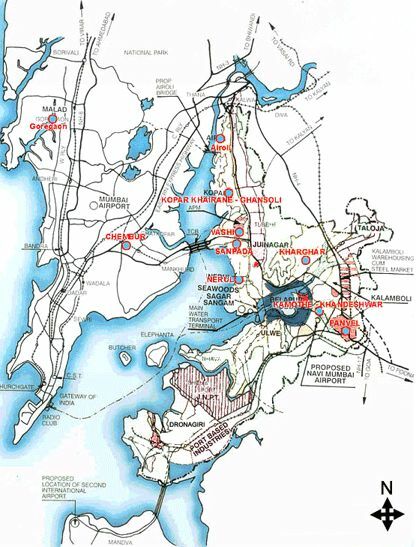 Vashi and Nerul were the first to be developed and the most densely populated. Mr.Banerjee, one of my dad’s colleagues invited us over for dinner the other day. He had moved to Bombay about a year back, when my dad offered him a job. His family stayed on in Delhi till he could arrange for the necessary accommodation. One year since, he has finally found himself a house he could afford and has asked his family to join him here. My dad’s office is located in Sanpada in Navi Mumbai and i have lived here, in Vashi for the past 10 and a half years. When i came for the first time in 2000, it seemed to be a much smaller place than it seems now. Our knowledge of the extents of New Bombay was limited to Nerul where my school was and Juinagar and Sanpada which we had to pass to get there in the schoolbus. Then there was Panvel where a few people in class used to stay and the Khargar where one boy had once invited us over for his birthday party and which we fell short sightedly in love with at that time. Belapur became popular by the time I went to Junior College(2004) and my dad’s office which was first in Vashi shifted to CBD(as Belapur is popularly known, visualized to have been the Central Business District) .In the first few years we used to go for drives to the sinister CBD with its strangely shaped abandoned buildings that we marvelled at. 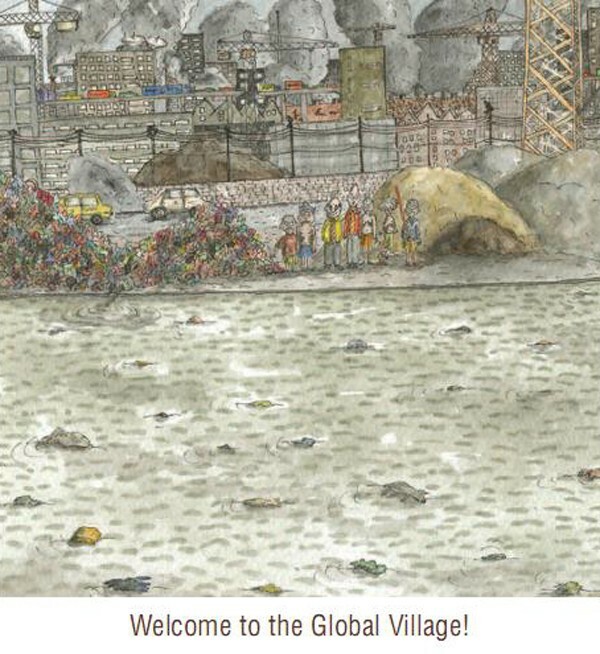 It looked to us like an epidemic stricken abandoned fantastic township and we used to attack our Dad with questions about why it was dead like that(the answer involved something to do with CRZ violations- boring details when one is 12). Koper khairane was nearby, though people who hailed from any place other than Vashi were looked at cockily and thought of to be ‘poor’ and ‘unfortunate’. In the following years the built landscape around us morphed, turning out to be not so different from the one we had left behind in the construction fantasy that was Dubai. The pages in our local newspaper-The Twin City Times doubled, tripled and eventually quadrupled with classifieds about the shiny, affordable, chic new buildings with swimming pools coming up in every empty corner i knew around. When we started looking for our own house in 2003, i exclaimed at how wonderful the colours were and how awe inspiring, the shapes! Slowly it became quite the fad to be living in Nerul, Khargar, and even Koper khairane. One fine day, my childish awe turned to adult horror in an unexpected jolt. I went for my favourite drive, after a span of around 2 years along with our very own Palm Beach Road and in the bargain, stumbled upon that mutilated cardboard box like creatures snaking along the roads that would haunt me long after. They chewed unapologetically on everything that dared to fall upon their path, not sparing even the mangroves of yore. Nerul, the site of my schooling days had become unrecognizable in these intimidating new shadows, and the same could be said for Sanpada, Khargar, Koper khairane, Belapur (still warmer than the rest, with its shaded streets , hills and low rise houses) or Juinagar. I started becoming rather skilled at avoiding visits to these places and recently when Mr.Banerjee’s invitation came in, I jumped at the chance. He had found his home in this place called Kamothe which I’d never heard of or visited earlier. There was still hope. Or so I imagined. I don’t remember the drive down to have been much fun as the unending rows of buildings, none lower than 10 storeys, touched shoulders with one another and glowered at me for judging them so hastily. I turned my face away in guilt. Once we neared the place, i recognized with much difficulty what had been but an empty, isolated patch of land after Kharghar. To my dad’s surprise and mine, it was crawling with residential towers, shops and malls. It had taken only a little more than a year for this to happen. A whole new civilization had ‘developed’ just a little distance away from us and we had not a clue about it. There were huge hoardings flaunting the work of this builder and that. We finally found our way to Mr. Banerjee’s place and i was thrilled at the fact that i had now been giving a chance to dissect first hand and reconsider my shallow judgements about one of the rubber stamp buildings that i despised with instinctive fury. One glimpse at the underbelly of this building complex was enough to make one wonder about what really happened. When i entered, there was an amply large parking lot which accommodated a handful of 2 wheelers, a few rickshaws and 2 cars. It was silent and there was no sign of life around. The lift said that the building was 12 storeys high but that’s about all it did. We huffed, puffed and panted our way to the 11th floor and along our way found long narrow passages with about 8 flats per floor (mostly unoccupied)and peeling sun mica clad doors and freshly plastered walls. It was a new building, about a year old, we found out soon enough as Mr. Banerjee ran halfway down to meet us and take us up. The living room was of reasonable size and had a large window on one wall. Still, the lack of any kind of air flow or ventilation made it difficult to breathe. The kitchen was modular and bright green in a tragic, but admirable attempt at making it look cheerful. The bedrooms, systematically divided into rooms spanning 4 tiles, seemed inadequate for a family of four. But just the fact that there were 2 whole bedrooms, a hall and a kitchen kept everyone happy. As the compartments multiplied so did one’s social status. The slow suffocation in the still air was immaterial in relativity. One could only accommodate a foot (sideward) inside the narrow balcony and the view was a kitchen and a bawling baby a few metres away on one side and the stagnant mosquito breeding open creek/drain on the other. Promises of air conditioned gyms and power back up lifts in the glossy brochures never materialized. The building itself was less than half full, the rest merely bought on basis of speculation. Neighbours lived in apartments far apart and did not interact. They are mostly migrants from other states in search of jobs and must travel to far off places in the city for work. Water was scarce and power cuts abundant. There was no security yet and the building wasn’t a co-operative housing society. More like every man for himself, thus, only barely a neighbourhood. If a slum can be defined as a squalid urban area characterized by sub standard housing and lacking basic human requirements for living, this surely would qualify as one. Makes one wonder why migrants would choose this over the so-called informal settlements in the city-those with a clear idea of space organization, ventilation, security, community, economy and livelihood. And what are the other options? If this is the future of our cities, it is indeed a stark, dark one. The Dystopia of a New’er’ Bombay indeed. Before the late-2000s financial crisis i.e. the global recession when the housing market suffered greatly, there was a big property boom in Navi Mumbai. Within this 2005-2006 bubble, there was a massive demand for housing. Investors flooded the market and small builders rushed in to make houses available as quickly as possible to fulfil this demand, irrespective of poor quality and inadequate infrastructure. Nevertheless, prices escalated. Once the bubble burst and the market collapsed worldwide, the investors were stranded with houses that they could not sell at profitable rates anymore. This is what resulted in the hastily built, sparsely occupied rows and rows of sub-standard speculative housing in some nodes of Navi Mumbai. As a result of this, in the last few years, a new market of ‘affordably luxurious’ housing has sprung up on the fringes of Navi Mumbai. These are mainly in agricultural areas outside the CIDCO jurisdiction, beyond New Panvel. The target consumers would be newly migrated families as well as second home buyers. The existing villages are placed at around 2km intervals interspersed with paddy fields on either side of the state highway that winds through to Pune. The villages are at this point under the Panvel Municipal Corporation(PMC) but have panchayats and are listed under the Industrial Zone in the Development Plan. Due to this reason, the law entails that only a 200m belt of agricultural land surrounding the village be made available for conversion to non agricultural land and given an FSI(Floor Space Index)of 1 to develop upon. The remaining land only has an FSI of 0.3(meant for agricultural infrastructure) and hence is not profitable for a builder to build on. What makes this land affordable for the builders and hence the future owner is the fact that most of this development is on what used to be agricultural land. Deals with the local talati in charge mean that the builders acquire a farming licence by unscrupulous means like buying land in Rajasthan which bestows this right relatively soon. Once this is done, they use the licence to buy off land from these villages and then converting them to NA land. The methodology includes offering tempting lump sums of money to the farmers as compensation here but at the same time, allowing little or no scope for sustainable personal growth or investment. This also seems more preferable than waiting for CIDCO to acquire the land and then getting minimally compensated only a number of years and court cases later. The farmer as per trend succumbs, but only to invest in three main areas- A bigger home, a marriage in the family or in buying lands in villages a few kilometres away that still haven’t come under the stranglehold of the builders. All of these scenarios would eventually lead to the drying up of these unsustainable lump sum compensations. This would mean the much discussed move from the villages to the city in search of jobs, only adding to the urban sprawl and squatter settlements, thus kicking off a vicious cycle. Their families stay back in dying patches of land that are part of a now defunct village with only houses but no means of livelihood. Their 200 year old fields will soon turn into empty 2 bedroom flats. So who really is paying the price for this luxury? The protected areas shall to go under the scalpel as they ready themselves for complete Residential Zone status (greater FSI, higher buildings and larger swimming pools) thanks to the rising property value with the upcoming friendly neighbourhood International Airport. The reinforcement of the agro industry can help stabilise and make agriculture more lucrative and create employment opportunities both at the production and marketing stages. A broad-based nurturing of the agro-products industry would support both social and physical infrastructure. Since it would cause diversification of crops and localization, it would also enhance the quality of land, create food surpluses and reduce transport expenses and damage. Localizing markets and production can lead to better quality food, better prices for the consumer and a bigger profit margin for the farmer. But this is not the only reason to revise our present development models. On exploring and mapping this scenario, both physically and experientially, there are observations made (detailed in the drawings and pictures below) which set it apart from the present trajectory of development, explained in the first part of the post.The map, to be read from bottom all the way to the top, unfolds to reveal a physical as well as experiential narrative about a village named Akurli, that lies along the State Highway, 3 kms away from New Panvel in Navi Mumbai. Sometimes it also takes one into people’s houses and lives while at others, talks about existing village-at-the-brink-of-conversion archetypes.